A beautiful flying day in Los Angeles just after a storm. It is not very common to see snow in the local mountains, so it was a nice surprise. 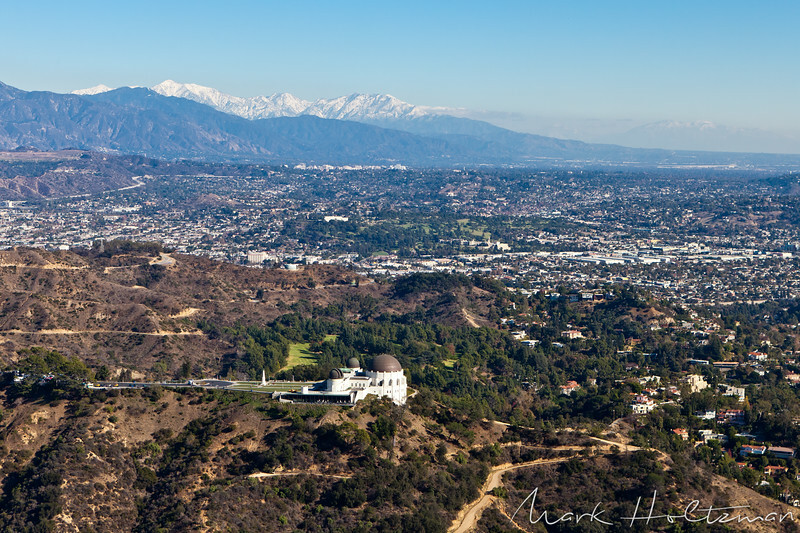 This is the Griffith Park Observatory which is located in the Hollywood mountains. Built 70 years ago and has been seen in many films. It is a wonderful place to visit both for the educational experience and for the view of Los Angeles.